Obesity involves a contrasting expansion of the energy-storing white fat and loss of functionally competent brown fat, an energy-consuming thermogenic adipose. 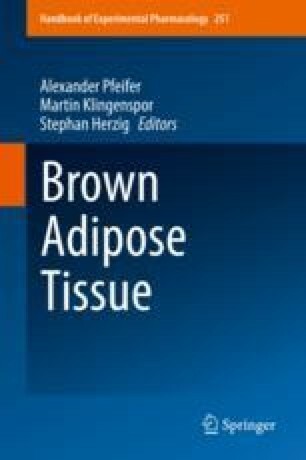 Leveraging our understanding of white and brown adipocyte recruitment and investigating factors that regulate these processes might reveal novel targets for counteracting obesity. In vitro differentiation of primary preadipocytes mimics many of the morphological and transcriptional events occurring during adipogenesis in vivo. Moreover, preadipocytes isolated from a specific depot maintain features of their originating niche. This makes in vitro adipogenesis a valuable model for identifying differential regulation patterns between brown and white adipogenesis. In this chapter, we describe step-by-step how to isolate brown and white preadipocytes from human tissue biopsies and how to culture and differentiate them in vitro. We discuss this process, what to consider, and how this in vitro system can be used to model in vivo adipogenesis. The Center for Physical Activity Research (CFAS), Rigshospitalet, is supported by a grant from TrygFonden. The Novo Nordisk Foundation Center for Basic Metabolic Research (http://www.metabol.ku.dk) is supported by an unconditional grant from the Novo Nordisk Foundation to University of Copenhagen.